wtf? I think you mean ‘spread’, not ‘cure’. This seems more like an ad that the Black Magic Insurance Agency would run rather than a health insurance provider. 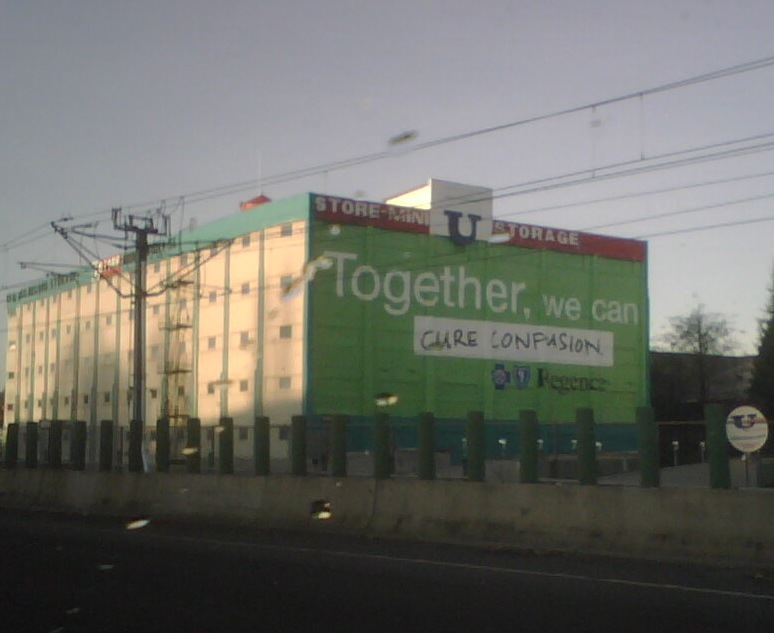 Due to the building’s columns, I first read the advertisement in the picture as claiming to cure compassion, which confused me even more.